You asked and we listened! 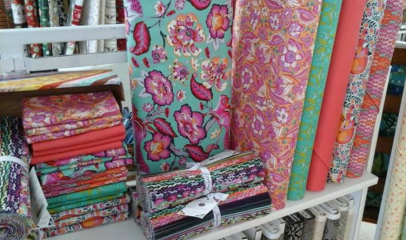 Introducing Chipper, the new line from Tula Pink--just in time for spring! Available in 10" squares while they last. This gorgeous Baltimore album wall hanging is actually a printed panel! Just cut out the squares and place wherever you like. Want to make it larger? Get two panels and add sashing! 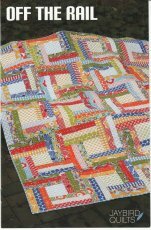 When you need a baby quilt-fast! Whip up this sweet little play quilt for a boy OR a girl. Or you can put the panel on the back of a quilt and make it two-sided! Kits are available for the baby quilt as shown. Try this easy cascading strip quilt that's running rampant with color! This beautiful strip friendly pattern looks more difficult than it is. There aren't any actual triangles-I promise! Add the partial seam technique to your quilter's toolbox while making this fat quarter friendly quilt. Do a scrappy look (with fat quarters) or plan it out using yardage--your choice! 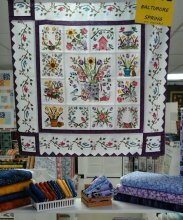 Beginning Quilting A-Z -- New Dates!